From left: Managing Director/ Chief Executive Officer, FBN General Insurance, Bode Opadokun, receiving an award for the Best Customer Service Award (Insurance Category) at the Nigeria Brand Award 2018 organised by Africa Brand Awards. 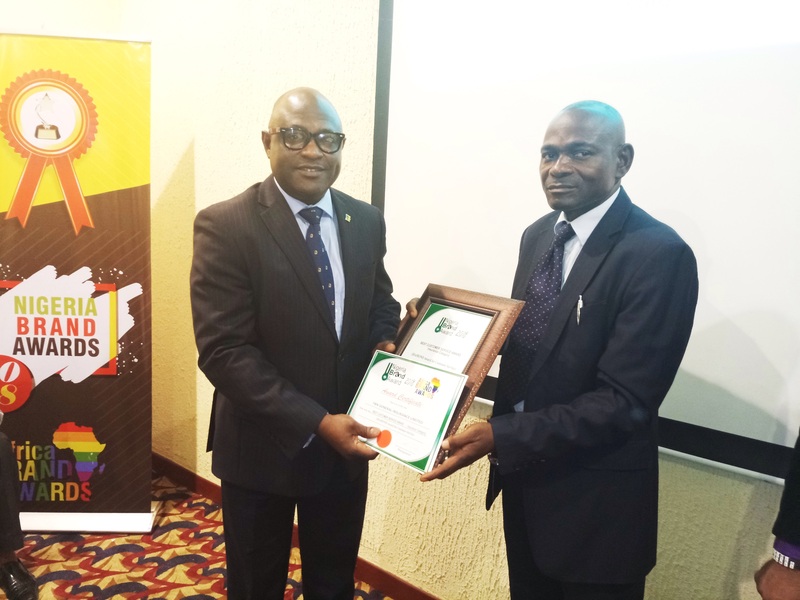 FBN General Insurance has been adjudged the Winner of the Best Customer Service Award (Insurance Category) at the 2018 Nigeria Brand Award held recently in Lagos. The Managing Director/Chief Executive Officer, FBN General Insurance, Bode Opadokun, thanked the organisers for finding the company worthy of the honour. “At FBN General Insurance, we do not take our customers’ interests lightly. We remain committed to delighting our customers at every touchpoint and we constantly seek better ways of delivering quality services to them at all times. Our recently launched Rapid Response Claims Assessment initiative, for example, is one of the many ways we have demonstrated that indeed, our customers do really matter,” he said.